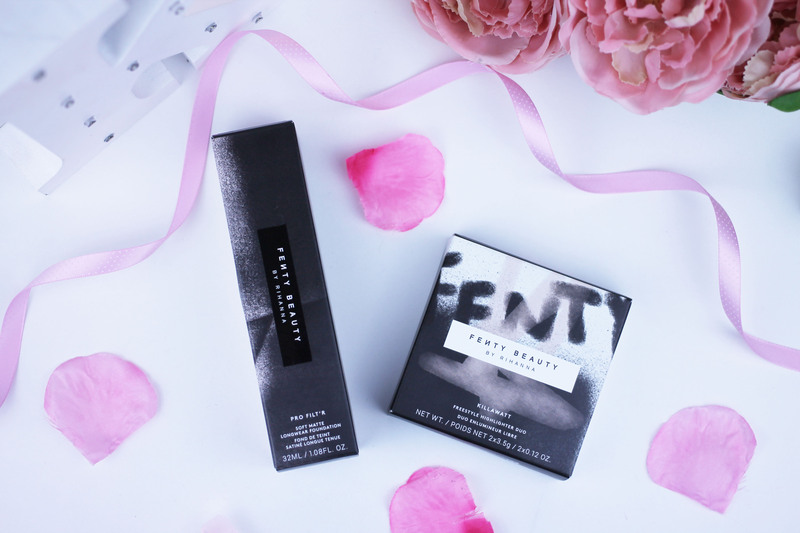 Fenty Beauty – Hit or Miss? When Rihanna launches something, you know the hype is going to be real. I present to you Fenty Beauty, one of the most talked about brands in the beauty world right now. 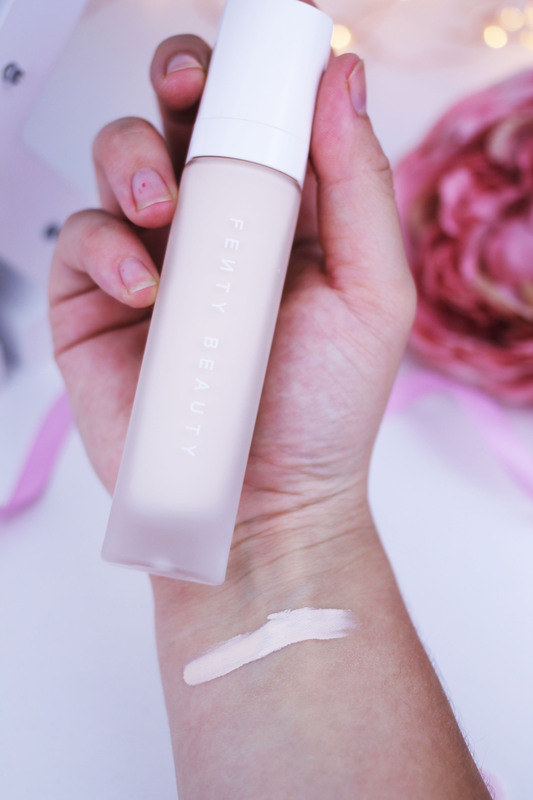 So I did promise that there would be a blog post on the latest craze that is Fenty Beauty once I had tested out the products enough. I’ve worn them nearly every day since getting them – applying them with different applicators, using them from work to date night. I’d like to think I’ve tested these out enough now. 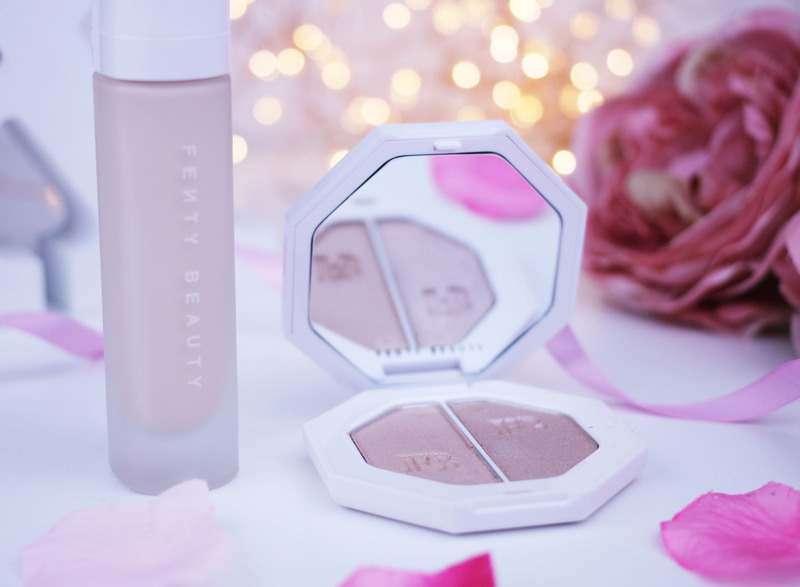 So the question I ask is – is Fenty Beauty a hit or miss? At first, I wasn’t all that fussed about the launch of Fenty. I was just like oh ok, cool, another celebrity launching a beauty brand. Cool. As I’ve said already, I knew there was going to be a lot of hype around this launch, it’s Rihanna for crying out loud! It wasn’t until I saw more photos, videos and interviews/articles about the upcoming launch that I thought to myself. Wow, ok, actually – this brand is going to be huge. Rihanna, on her first release, has launched 40, YES, 40 foundation shades. More than you can say for the majority of beauty brands. She has also stated that in time, she will be adding more shades to her range which is absolutely fantastic. My good friend Hayley from Teapartybeauty was at the Fenty Beauty launch at Harvey Nichols in Leeds that was like erm, ok. I definitely need to try Fenty out. 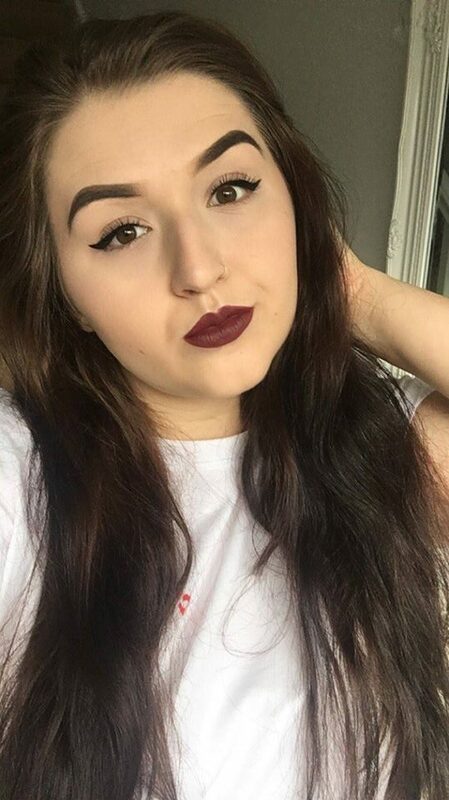 I was eagerly watching her Instagram stories and spam messaging the group chat about the launch, as soon as it launched on the website – I was on there! As I’ve said numerous times on social media and other posts, I’ve not experienced a bad product upon Hayley’s recommendation so I was really excited to see if this tradition continued. I got two things from the collection (for now…) – the Pro Filt’r Soft Matte Longwear Foundation and a Lightning Dust and Fire Crystal. The packaging first off, is so beautiful. I love the fact that it’s very minimalist and so sleek. I’ve seen a few people comment that the packaging looks cheap but I don’t think it is at all! Let’s start with the foundation shall we? I wasn’t really sure what shade to get to begin with because I am pretty pale. 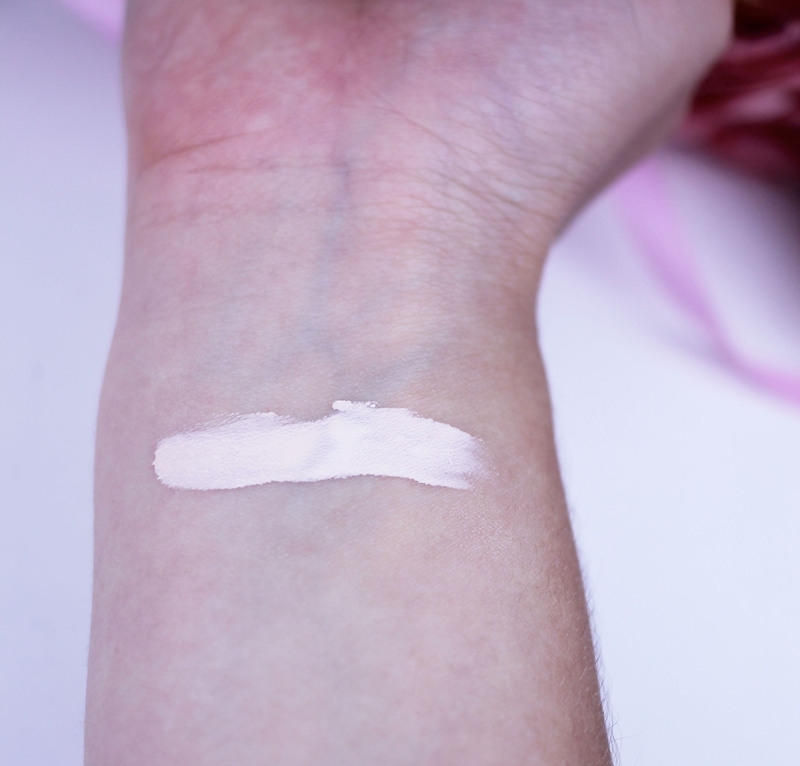 I’m usually the palest shade in most foundations but since the Fenty range caters for those with albinism, I thought the palest 3 shades (100, 110 and 120) would be way too pale for me. Especially since on the Harvey Nichols website, they have photos of models wearing each shade and I was 99% certain that I would be more 140-150. However, Hayley said that I would likely be 110 as her winter shade was matched in store at 120. So once more, I trusted her judgement and went for shade 110. Once again, she was right! It was a perfect match for me. I actually struggled to take a nice photo of this foundation because 1. how pale the foundation is and 2. my lighting was not playing ball. 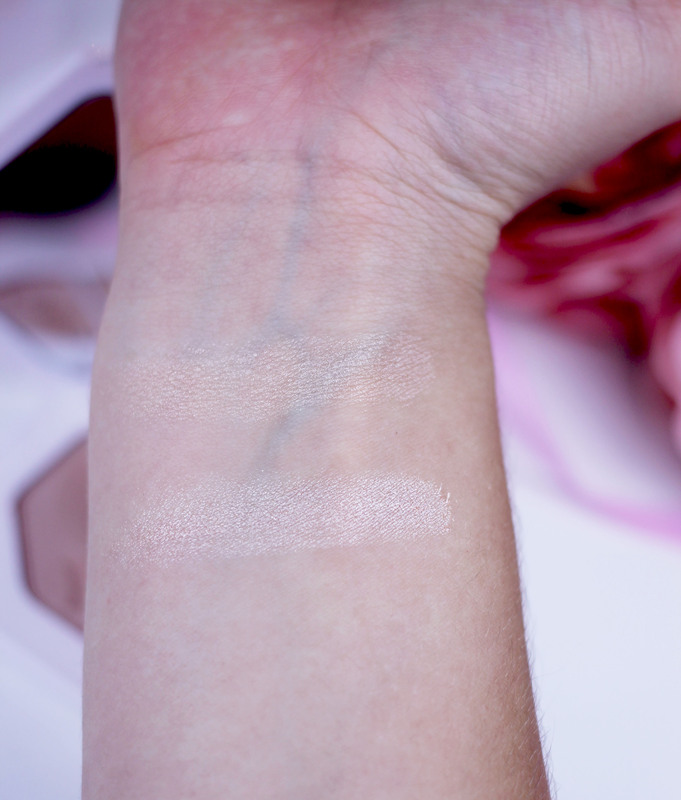 I did talk about my shade choice on social media and I had people messaging me like ”oh that shade will be waaaay too pale for you” and ”oh but the swatch on your arm doesn’t meet your skin colour” Yes… Because my arms actually have a tan whereas my face doesn’t. It barely ever has a tan and it is coming up to winter anyway so it’s a perfect match. Maybe in the summer, I’ll need to use darkening drops but for now it’s great, thank you and goodnight. It was definitely cheaper than I expected to pay. For a celebrity brand, I usually expect to spend £30+ but at only £26 it was better than I expected. The only thing I begrudged was the £6.00 delivery from Harvey Nichols. It’s just frustrating when I was already spending a good amount to then pay that much for a standard delivery. It’s nothing to do with Fenty though, just my little qualm with Harvey Nichols. You would have seen me give a little (very long) demonstration with this foundation. I tested it with a foundation brush and a beauty world favourite – a beauty blender. They both provided very different finishes. When I applied it with a brush, I found the finish to look ‘streaky’ and well, weird? It just didn’t sit nicely at all. Perhaps I need to try it with a different brush? With the beauty blender however, it was totally different. I found it much easier to blend out the foundation and the finish definitely felt more ‘airbrushed’. Coverage wise, it’s definitely one you can build on but I only ever really wear foundation when I want a medium-full coverage anyway. 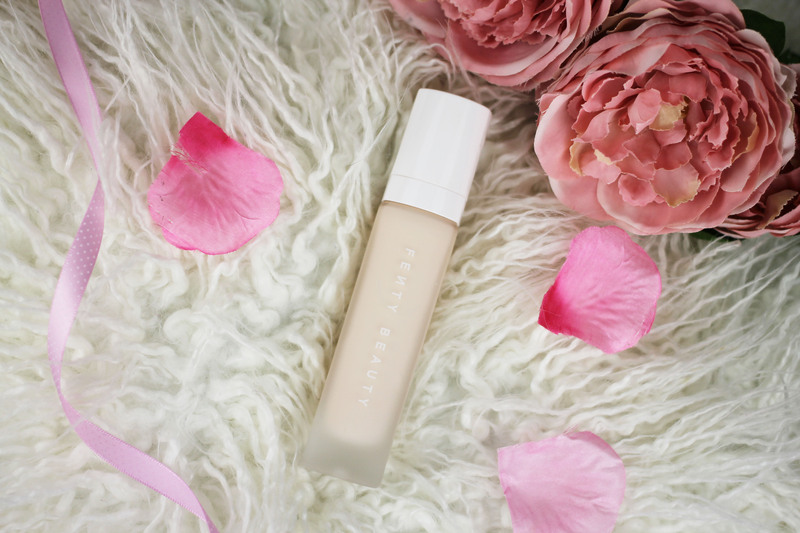 When I wear foundations like the Urban Decay All Nighter – my skin feels so incredibly trapped but with Fenty, it feels as though it can breath. The formula is really lightweight and I love that. I did read somewhere that Rihanna purposely made her range with the idea of looking ‘natural’ in mind but one where you can also make your face pop. I definitely think she’s done that perfectly. My skin just looks totally natural with the foundation on. The foundation is a water based foundation so it is definitely on the runny side so just be mindful of this when you press the pump because it will go all over the back of your hand if not! I’m still getting used to the runny-ness of it but I must admit I do like it and it probably adds to the whole ‘lightweight’ feel to it. I tend to wear this foundation for roughly 10 hours a day and it looks just as good when I’m about to take it off as it does when I first applied it in the morning. It’s flawless! Also, just to add – my skintype is sensitive and it sometimes does get dry (around my nose area) with the odd spot. It’s been perfectly FINE on my skin! Errrrrr ma god. I love it. Love it, love it, love it! I picked up the duo ”Lightning Dust and Fire Crystal” because they seemed the best option for me – mostly because they were the lightest. I’m pretty peculiar about my highlighters. Dark shades do NOT suit me at all. I much prefer the gold, champagne shades. That’s why I’m pretty surprised that I like this duo to be honest because it’s definitely on the ‘dark pinkier’ side to what I would usually go for. However, they surprisingly don’t have pink finishes, they’re a mix of gorgeous pearlescent tones. *drools*. One thing I will say is the price, these also come in at £26. So for the size of product you actually get, it’s quite a lot of money. BUT, so far – I am getting good use out of it. Also, the pigments are pretty good so I can kinda see why it’s at that price. It’s definitely worth it if you wear highlighter on a regular if not daily basis. If you only wear highlighter every now and then, I would recommend you consider your spending before you commit to this. 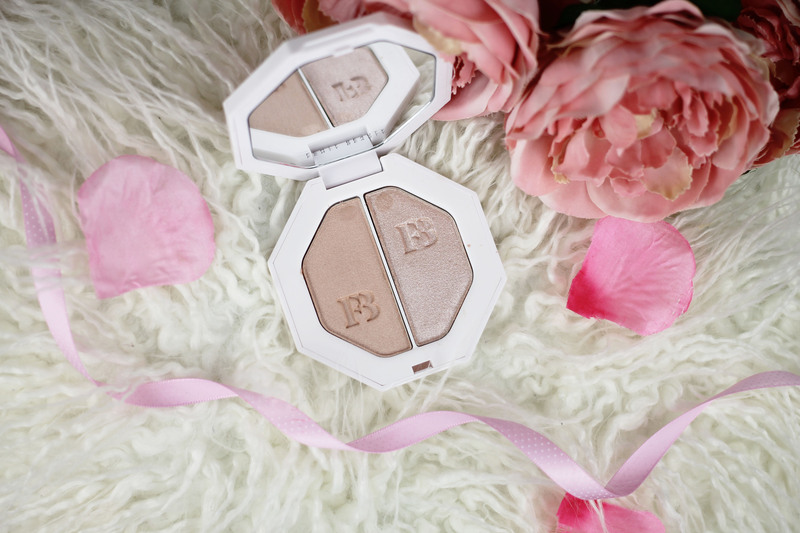 It works out at £13.00 per highlighter. So the two shades are very different in texture too. Lightning Dust is really creamy I think and has a velvety finish. Whereas, Fire Crystal is definitely a more in your face powder shimmer. 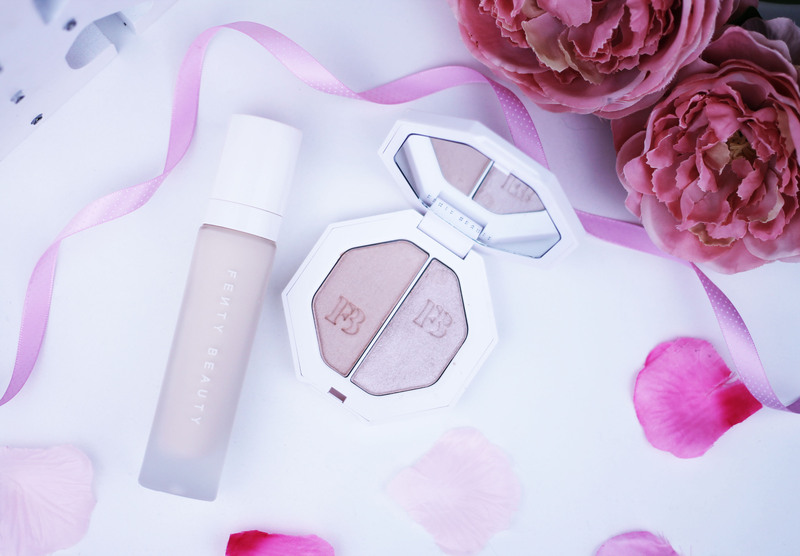 The duo will be fab as part of a ‘daytime to nighttime’ makeup look because you can wear Lightning Dust during the day and Fire Crystal at night so you get all the glow. Like the foundation, both shades are very buildable. On my first initial swatch with my fingers, I didn’t pick up a tonne of product as you can see in the photo below. But, when I went back and added more product and a little bit more ‘force’ from me – I got a lot more out of it. It also showed more product when I used a brush as opposed to my fingers. So if you want subtle – that’s great, it’ll work and if you want dramatic – it’ll work. Rihanna just seems to have taken pretty much every thing into account and I am so glad she has. I think my favourite shade out of the two is Fire Crystal it just looks so beautiful on my cheek bones and cupids bow. I’ve worn it almost every day. There’s minimal fall out with this shade too. However, with Lightning Dust, there is a fair bit of fall out in comparison. But Lightning Dust is equally pretty and gives me such a gorgeous natural glow. In the photos, it does look like it’s almost a bronzer highlight. When I first opened the duo, I did say on my Instagram stories that I think I’ll use it for bronzing. How wrong was I? All in all, I’m really impressed with the range (what I’ve tried anyway) I just love that this is very inclusive – in comparison to other beauty brands. I think Rihanna has knocked it out of the park with this one. She’s also just released the images for her Holiday Collection and I am definitely going to try get something from the collection! It looks beautiful! Hopefully, I’ll get more of this range too because as I said – I’m really impressed with it. I love how well the foundation and highlighters last on my skin. I did take some photos with the products on my face but I hated how they turned out so I will update the post with photos once I have some that I’m happy with! 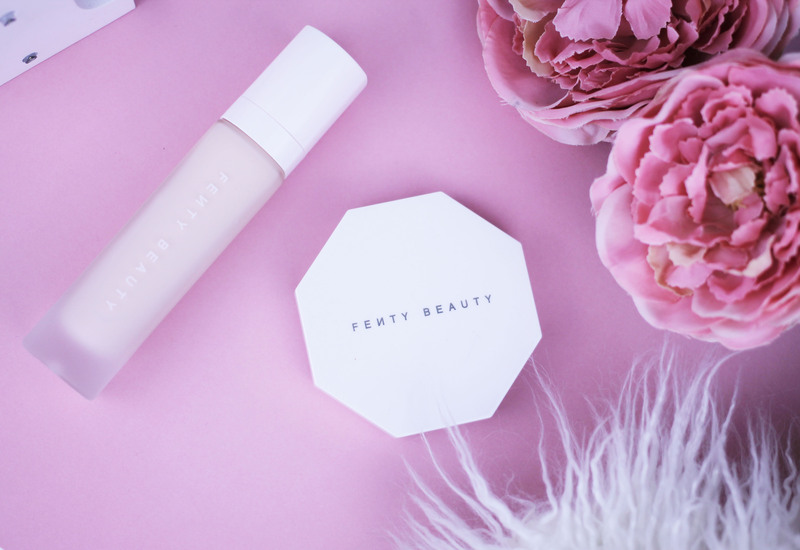 Have you tried anything from the Fenty range? Is there anything you have your eyes on? What did you think to it if you’ve tried anything? Let me know in the comments below!